PINK FLOYD The Dark Side Of The Moon (Sealed Limited Edition 1981 US 'Ultra High Quality Recording' audiophile box set issue of the classic 1973 10-track LP from Mobile Fidelity, custom pressed in a limited run of just 5000 copies from the master stamper at the Victor Company of Japan (JVC) plant in Yokohama in May 1981. 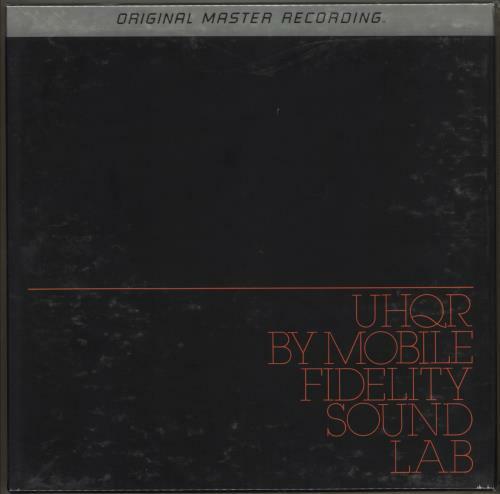 The UHQR series was a step up from the already high standard of Mobile Fidleity's audiophile vinyl series at the time & is now highly collectable; only a few albums were given the UHQR treatment before the series was abandoned as too expensive to produce. Comes housed in a unique 12" title box with technical spec inserts & numbered certificate. Recently obtained from a retired former executive at Mobile Fidelity, this ultimate collector's edition remains factory sealed from new, mint & unplayed with impeccable provenance MFQR1-017).